All VILLAGE LOFT homes currently listed for sale in Park City as of 04/25/2019 are shown below. You can change the search criteria at any time by pressing the 'Change Search' button below. 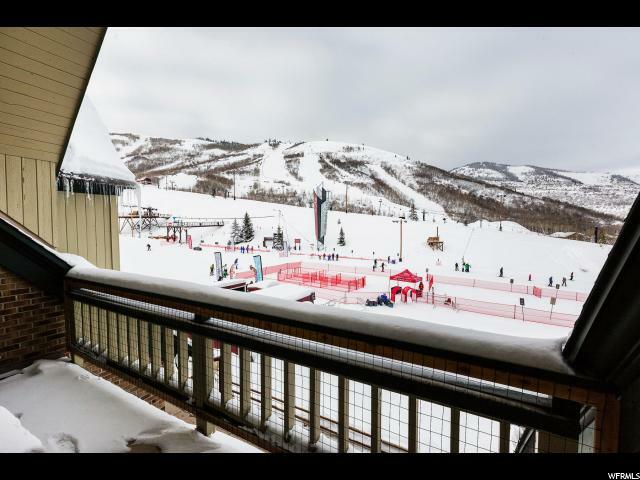 "Located in the heart of Vail's Park City Mountain Village, this remodeled two-story, 2 Bedroom/2 Full Bath condominium offers the ski-in/ski-out convenience of a true slope side location and unobstructed front row views. The open floor plan has been thoughtfully updated with neat, white appliances, new cabinetry/granite counters throughout. The alpine d cor reflects the mountain setting and is enhanced by the gas fireplace. The enjoyment doesn't end when the snow melts. PCMR is the home of summer alpine adventure, and the property provides a private, balcony from which to watch the fun. Additional amenities include private W/D; air conditioner."